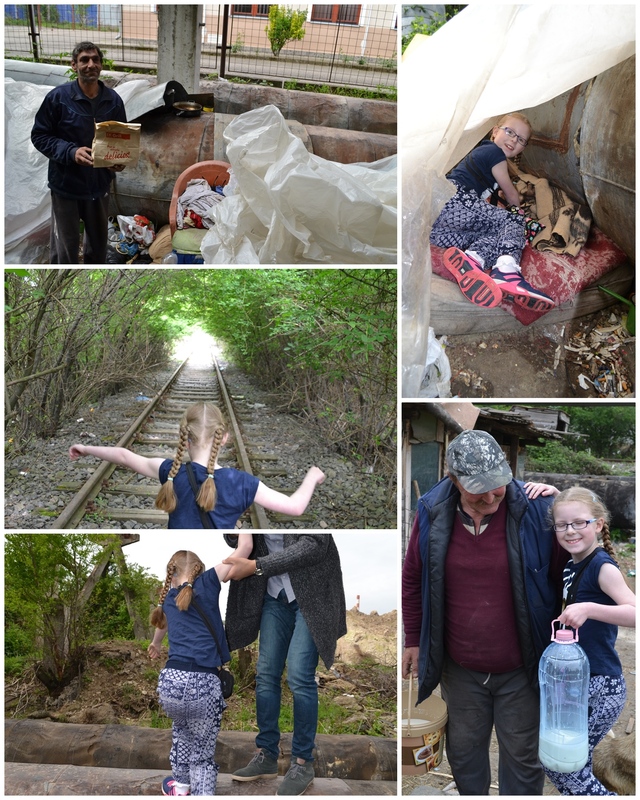 On Saturday 29th April, we got up at 5 o’clock in the morning to go to Romania. We drove to Manchester airport in the car and had a long wait to get on the plane. I enjoyed it when the plane took off! 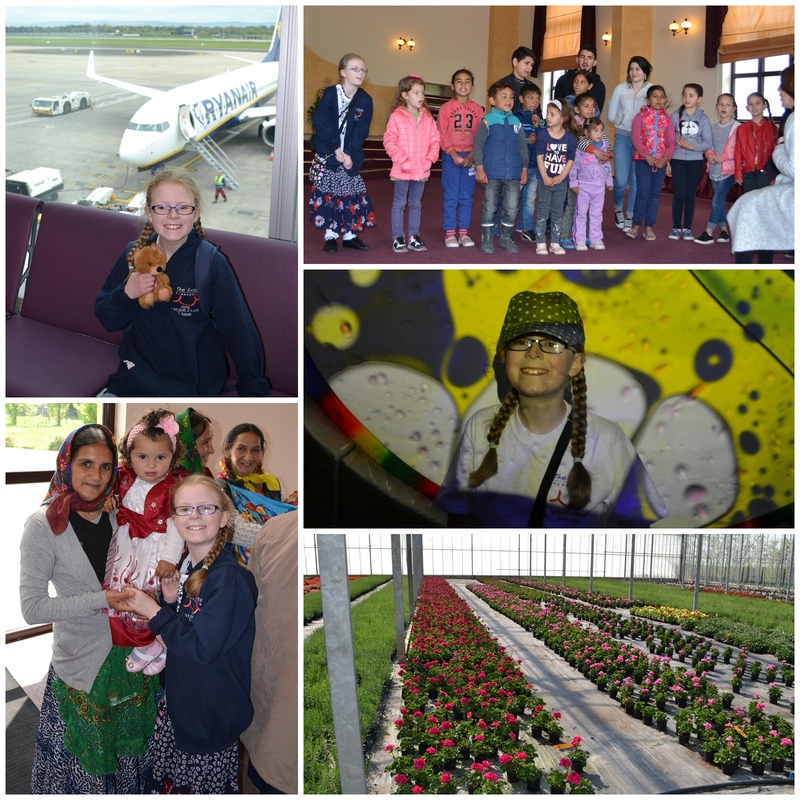 When we got to Budapest we were picked up at the airport and had a 4 hour minibus journey to the Mission Centre in Oradea. We were very tired! The next day was Sunday. We went to the Church in Tileagd which was given to the Gypsy community by The Smiles Foundation. I found it hard to understand but we had an interpreter. I sang a song with the children, which I really enjoyed. I enjoyed meeting some of the people from the Community at the church. After that we visited the Joint Facility of Love (JFL) in Salonta.I really enjoyed the Sensory room. Then we visited the Glasshouse, in which they sell flowers to support The Smiles Foundation. The next day was Mici (Mitch) day, which is the celebration the Romanians do on 1st May as they get to rest from work that day. We met Raul, who works with the homeless in Oradea. We visited a homeless man called Gasper who lived in a shelter next to the heating pipes. He was an orphan and from the age of 18 he has lived on the streets. He was very happy with the Mici he received. This is where he slept. It was very hot as the pipes were very hot! Then we went to meet Dogu. It was a very interesting walk to get there! He gave me some delicious goats milk from the goats he owned. We then went to visit the Container village, which is a village where people go when they have been rescued from being homeless. We helped them celebrate by having a BBQ with Mici on and by making them smile. I made a new friend called Denis. We played together and while we were playing hide and seek I had a little rest. I tried some of the Mici and it tasted delicious! This is me and Denis; I gave this little girl my old shoes, she really loved them. 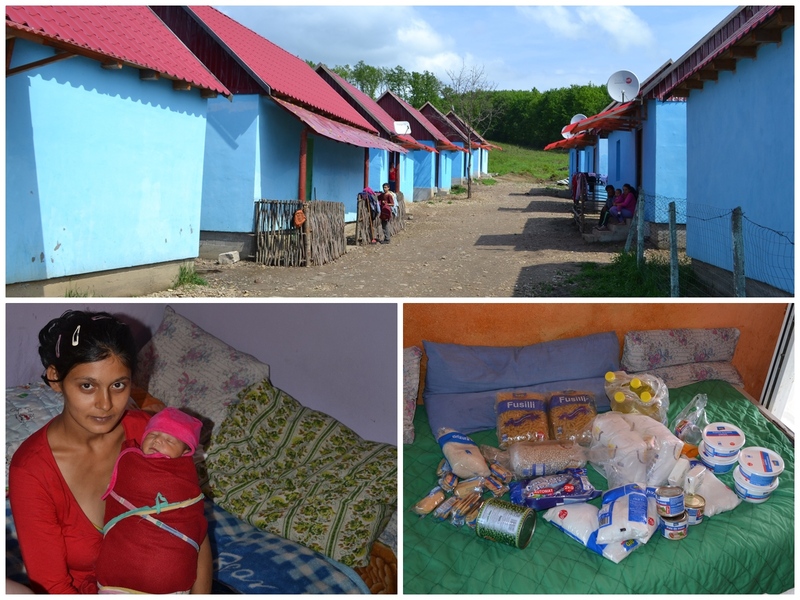 Tuesday 2nd May we visited a Gypsy village way up in the hills to deliver their monthly food parcels. This lady lived in a one room house, like most of the gypsies. They use a well for water and have a shed with a hole in a piece of wood to sit on for the toilet. This is her oven and heating in the same room. Today we visited Tileagd School and Nursery which Smiles set up to educate the Gypsy village. Here they get food, a wash and learn how to brush their teeth. Also Romanian children and gypsy go to this school to help them get on well together. In the afternoon we painted some of the walls in the JFL in Tileagd and got very messy!! On the Thursday we went back to JFL in Salonta and spent the day there. We sang and prayed for each of the residents which cheered them up a lot. This is Petru who asked if he could marry my Mum and Daddy said yes! 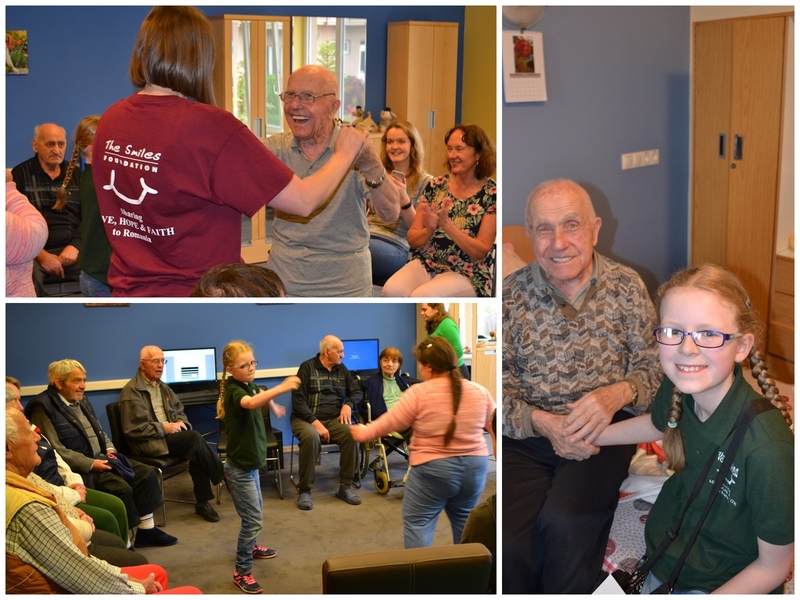 In the afternoon we had some fun with the residents and some of the adults who have special needs. Mummy danced with Petru. And I danced too! I was very sad when we had to leave as we had so much fun. On Friday, sadly, it was the last day we had there, so I wanted to make the most of it. 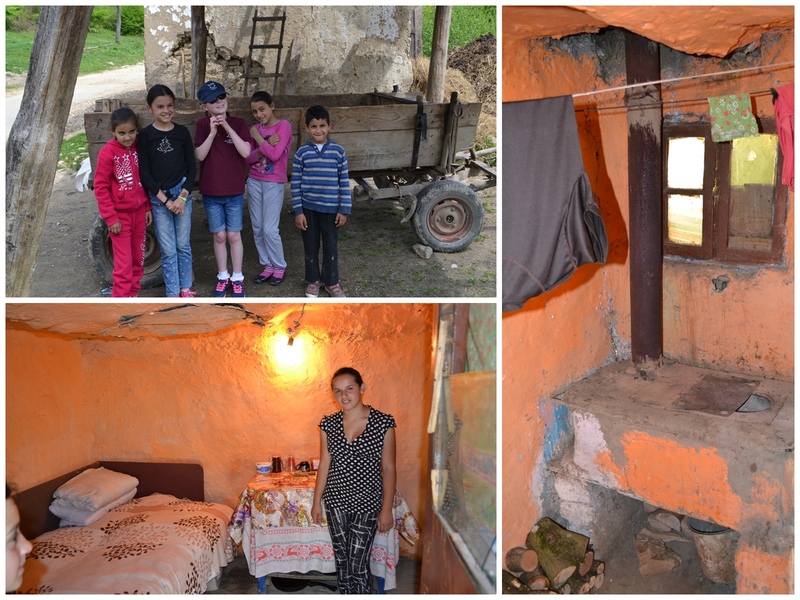 We visited another Gypsy village in Rapa, where Smiles had built houses for them and a toilet block and also a church, as what they had before was rubbish. I really enjoyed working with The Smiles Foundation and I definitely want to go back!